When Will We Clone a Human? Human cloning may endure as one of the go-to science fiction tropes, but in reality we may be much closer to achieving it than our fictional heroes might imply. At least in terms of the science required. On of the most prominent hurdles facing us may have less to do with the process and more to do with its potential consequences, and our collective struggle to reconcile the ethics involved. That being said, while science has come a long way in the last century when it comes to cloning a menagerie of animals, cloning humans and other primates has actually proven to be incredibly difficult. While we might not be on the brink of cloning entire human beings, we’re already capable of cloning human cells — the question is, should we be? The astoundingly complex concept of cloning boils down to a fairly simple (in theory, at least) practice: you need two cells from the same animal — one of which is an egg cell from which you’ve removed the DNA. You take the DNA from the other somatic cell and put it inside the devoid-of-DNA egg cell. Whatever that egg cell goes on to produce for offspring will be genetically identical to the parent cell. 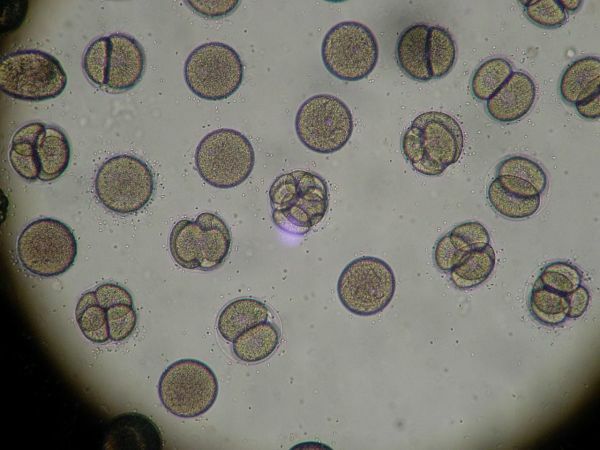 While human reproduction is the result of the joining of two cells (one from each parent, each with their own DNA) the cellular photocopy technique does occur in nature. Bacteria reproduce through binary fission: each time it divides, its DNA is divided too so that each new bacterium is genetically identical to its predecessor. Except sometimes mutations occur in this process — and in fact, that can be by design and function as a survival mechanism. Such mutations allow bacteria to, for example, become resistant to antibiotics bent on destroying them. On the other hand, some mutations are fatal to an organism or preclude them coming into existence at all. And while it might seem like the picking-and-choosing that’s inherent to cloning could sidestep these potential genetic hiccups, scientists have found that’s not necessarily the case. The cloning of human cells, however, may be a far more immediate application for humans. Researchers call it “therapeutic” cloning, and differentiate it from traditional cloning that has reproductive intent. In 2014, researchers created human stem cells through the same cloning technique that generated Dolly the sheep. Because stem cells can differentiate to become any kind of cell in the body, they could be utilized for a wide variety of purposes when it comes to treating diseases — particularly genetic diseases, or diseases where a patient would require a transplant from an often elusive perfect match donor. This potential application is already well underway: earlier this year a woman in Japan suffering from age-related macular degeneration was treated with induced pluripotent stem (iPS) cells created from her own skin cells, which were then implanted into her retinas and stopped her vision from degenerating further.